We got our Departures magazine this month (the same magazine that gave us Luxurious Flying) and were so delighted to flip through it. Boy are there lots of watch ads. You know how well we love our watches at TravelMarx (see this post). 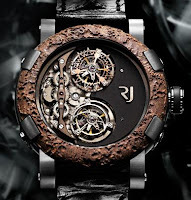 One ad stuck out for us, and that is the Swiss watchmaker Romain Jerome’s watches made from pieces of the Titanic. Okay, not so bad we thought, though, a bit ugly. Later in the same magazine there was an article on “necessary luxuries” with a quote from the WSJ wealth reporter Robert Frank that goes like this: luxury is not dead, just conspicuous consumption is. Furthermore, we are now in an era where we are buying (luxuries) that “fuel our passion and fulfill a part of our identity”. Does that include food, gas, and healthcare? around and say, "good morning" to the night. The watch advertising goes “the Day & Night watch offers a new way of measuring time, splitting the universe of time into two fundamentally opposing sections: day versus night”. And to think we thought the calculator wrist watch was radical. Do you get those election emails that subtly or not-so subtly bash one candidate or party? Do you also get the person who “passes” customized email with a personalized message of “just passing these on as they come my way…” as if he or she couldn’t help but press send? Let me just say, we are not swing voters so these emails rarely speak to us. Secondly, facts compiled in these emails are rarely trustworthy, especially when it says at the bottom, “pass this along to as many people as you can!”. Thirdly, we are in our consonant bubble of belief – leave us alone! One of the ideas we’ve tried to keep in the back of our minds this election season is that we are not that dissimilar from our fellow Americans; not as disimmilar as you would think watching the media. We keep this idea alive because otherwise communicating and reaching out would seem out of the question. (But, boy is it hard with the current cast of characters on the national stage.) Reaching out is especially important in politically split families. One family member sees a particular candidate’s potential election to the presidency as “we are going to hell in a hand basket” while another one sees it as hope. It’s the Rashomon effect applied to our views of plausible outcomes for the next four years for this country. We were at a financial seminar tonight (who isn’t these days?) about the history of the stock market. During the presentation, the presenter was talking about arithmetic means and geometric means. I realized that I didn't really remember the difference, so here is a quick primer on it based on what I learned brushing up on my math. The arithmetic mean is the sum of a list of numbers divided by the number of items in the list. The geometric mean is the nth root of the product (multiplication) of all the items in a list where n is the number of items in the list. The harmonic mean is the reciprocal of the arithmetic mean of the reciprocals. It can be confusing to know when to use each type of mean. I’ll use some investment examples here to illustrate all three. Scenario 1: Suppose you have three friends. Each starts with some sum of money and then each reports back after some period of time of investing (for example, a year) how much money they made. Suppose they report 20%, 10%, and -10%. Question 1: What is the average rate of return? Answer 1: In this case you simply use the arithmetic mean to get 6.67%. So far, so good. Scenario 2: Suppose you start with $100. After year one, you have $120. After year two, you have $132, and after year three you have $118.80. These numbers are equivalent to having a 20% rate of return the first year, a 10% rate of return the second year and a-10% rate of return the third year. So we have similar percentages as in scenario 1. Question 2: What is the rate of return such that for each year if you applied that rate you would end up with $118.80? Answer 2: In this case you don’t use the arithmetic mean, you use the geometric mean to get (1.20*1.10*0.9) ^ (1/3) = 0.0591 or 5.91%. To check this we can simply calculate $100*1.0591*1.0591*1.0591 = $118.80. If you thought the arithmetic mean would work simply run through the calculation ($100*1.0667*1.0667*1.0667 = $121.36) to find it is not correct. If you thought you could just take the $118.80 - $100 to get $18.80 and divide that by 3 (number of years) you get 6.27% which if you check the calculation gives you $120.01. Again, not correct. Both of these approaches are not correct because the compounding nature (multiplicative) of the calculation means that an arithmetic mean is not appropriate. Scenario 3: Suppose you save $1,200 by saving $100 every month. Then, you save another $1,200 by saving $120 every month followed, finally by saving yet another $1,200 by saving $200 every month. At the end you would have $3,600 and it would have taken you 12+10+6=28 months to save. Question 3: What is the average savings rate per month? Answer 3: Your first response is to take $3,600 and divide by 28 which is $128.57. In this case it is easy to calculate, but if you had lots of saving periods, say over 20 years, you might want a short cut to calculate this. This is where you the harmonic mean comes into play. The harmonic mean would be 3/ ((1/$100) + (1/$120) + (1/$200)) = $128.57. The harmonic mean is used is situations when you dealing with rates. We just got back from the East Coast and took a non-stop from Seattle to Boston and back. While not a bad flight, regular class is always a bit cramped and a strain. At least we had the means to make the flight. Today we received this magazine that couldn’t be farthest from our style but it ends up in our mail every so often. (Just call us uneducated and uncouth, but outlandish jewelry dripping with gems and uber-fancy resorts with not a soul in sight just don’t register.) The magazine is called Departures. (It’s so exclusive you can’t even see its Web site without logging in, so there!) In flipping through the magazine we just had to share these two advertisements for a type of flying that is a world apart from what the average person experiences. Welcome to the world of luxury flying. In the first ad, check out the size of those seats! A family of four can easily fit in one. In the second ad, you might think it’s an ad for a hotel room and you would be partially correct. 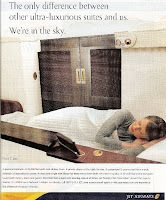 It’s a “personal bedroom at 35,000 feet with dual sliding doors”! What if you have a really loud person one “personal bedroom” over? Diminishes the $9,000 or so for the space. Stick to economy, set your expectations low, and hope to be pleasantly surprised. 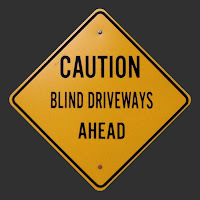 Driving around residential Connecticut we saw a lot of blind and hidden driveway warning signs. (Are all driveways in Connecticut visually impaired or sneaky?) 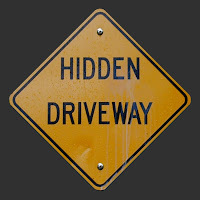 After a while we started to wonder what the difference is between a blind driveway and hidden driveway road sign. Our guess is that to the driver on a road, a driveway can be hidden. To the driver in a driveway (leaving presumably) he/she is blind to what’s coming on the road. In general, we just interpret both as BE CAREFUL. I never did find the answer, but I did find some fun sites where you can learn more about traffic signs then you might want to: http://www.trafficsign.us/, http://mutcd.fhwa.dot.gov/Signs/index.htm (our tax dollars explaining signs to us), and http://www-cs-faculty.stanford.edu/~knuth/diamondsigns/diam.html (the photos above are from this site). Do you know the nickname of your state? Your neighboring states? Didn’t think so. While in New England this week, we got to thinking about state nicknames. 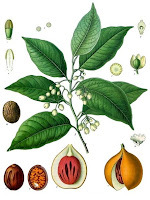 The “official” nicknames for some New England states are: Connecticut the Consitution State, Maine the Pine Tree State, Massachusetts the Bay State, New Hamsphire the Granite State, Rhode Island the Ocean State, and Vermont the Green Mountain State. Much of the area we walked and biked in was completely deforested by European settlers from 1650 and 1900. Some of the forest has grown back. After just a few days in the Cape and you can’t help but run into the word “quahog” - pronounced "ko-hog". It is a type of clam that are particularly common from Cape Cod to New Jersey. Quahogs can also be referred to other names based on their size, e.g. littlenecks, topnecks, cherrystones, etc. The distinctive name comes from the once-extinct-and-now-partially-revived Narragansett (Algonquin) language. The bucket of quahogs attached to this post are from a clambake we had on the beach. Tough life, we know. We are in Cape Cod for the weekend. 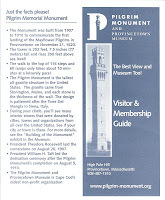 Today we stopped by the Pilgrim Monument and Provincetown Museum for a few hours. 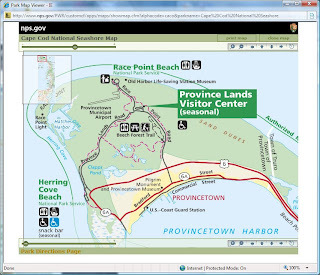 The museum is in Provincetown, Massachusetts – at the tip of Cape Cod (map). 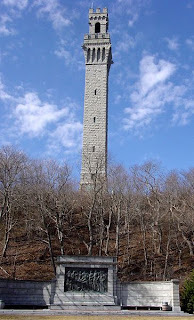 The 252 foot Pilgrim Monument is an orienting landmark that can be seen for miles around and beckons you to climb it. The tower was built between 1907 and 1910 to commemorate the first landfall of the pilgrims in 1620. It was build to resemble the Torre del Mangia in Siena, Italy (all the more reason for us to climb it). The Siena tower is about 335 feet high. The climb to the top of Pilgrim Monument tower is relatively easy; there are 60 ramps and 116 stairs (all inside). There is a nice view from the top as a reward. You should set aside about 20 minutes for climbing the tower and looking out from the top in all directions. 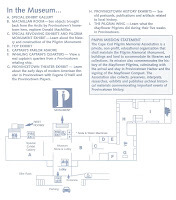 Besides the monument there is the Provincetown Museum that you can easily spend about an hour looking through. (One ticket at $7 gets you both the monument and museum.) The one thing that we remembered the most from the museum was the exhibit on Donald B. MacMillan, a native of Provincetown. MacMillan journeyed to the North Pole with Peary in 1909 and then went on to explore Greenland, Nova Scotia, and Labrador (Atlantic Canada) among many, many other accomplishments. 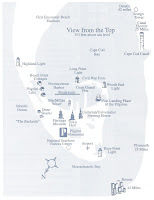 The main pier in Provincetown is named after MacMillan.